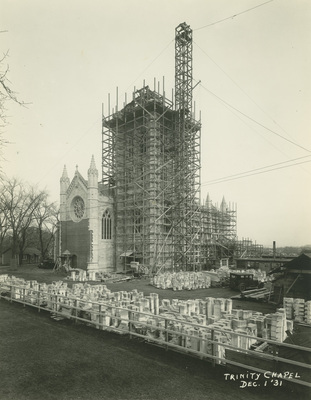 View of work on the chapel, looking northeast toward Broad Street. Indiana limestone is being used to clad the masonry core of the west end of the chapel, under the Rose Window. The tower is covered with scaffolding.